Shade sails can be seen installed in several public spaces here in Australia. From carports to outdoor pools, parks and playgrounds, shade sails are used to provide shade in various public spaces. However, if there’s one space which needs shade sails the most, it is kindergartens. Sure, everybody needs sun protection, but adults know how to take care of themselves. Young children don’t understand the dangers of excessive sun exposure, and it is up to us adults to ensure that they are protected. As a shade sail supplier in Australia, today I will tell you more about kindergarten shade sails and why they are so important. If you own a kindergarten or childhood centre, make sure to get kindergarten shade sails installed. Maybe you’re not aware of it, but Australian children face the highest risk of developing skin cancer later in life. This is because we experience very high amounts of UV radiation from the sun. Excessive exposure to UV radiation causes children to develop melanoma skin cancer. If there is no natural shade in a kindergarten, you must create humanmade shade structures to keep children protected. Here’s where kindergarten shade sails are a fantastic choice. Kindergarten shade sails made from quality shade fabrics, such as those we offer at Global Shade offer excellent UVR protection. Our shade sails are capable of blocking out up to 99% of the sun’s UV rays. By using one of our shade sails in your kindergarten, you’ll ensure that kids can play outdoors without fears of excessive sun exposure. Not only do UV rays damage the skin, but they can also reduce the life of material objects as well. Outdoor furniture and play equipment which is left out in the sun soon fades and begins developing cracks. While kindergarten shade sails can help you create a shaded and protected space for children to play in, they also help protect outdoor equipment. By installing a shade sail above your fixed play equipment, moveable play equipment and outdoor furniture, you’ll prolong the life of your equipment. Adding a permanent shade structure to your kindergarten can be a very expensive and time-consuming affair. Also, with permanent shade structures, you’ll need to plan things out in detail – once the structure is put up, you won’t be able to make any changes. Kindergarten shade sails offer an excellent alternative to permanent shade structures. Shade sails are lightweight, movable and you can install them in a configuration of your choice. What’s more is that shade sails are also incredibly affordable, making them the ideal choice for kindergartens. Now that you realise the importance of kindergarten shade sails, you should go ahead and get one installed. Before you order a shade sail, do check if you are eligible for the 2018 SunSmart Shade Creation Initiative. Under this initiative, all eligible kindergartens can obtain 50% matched funding on shade sails up to $2,000. 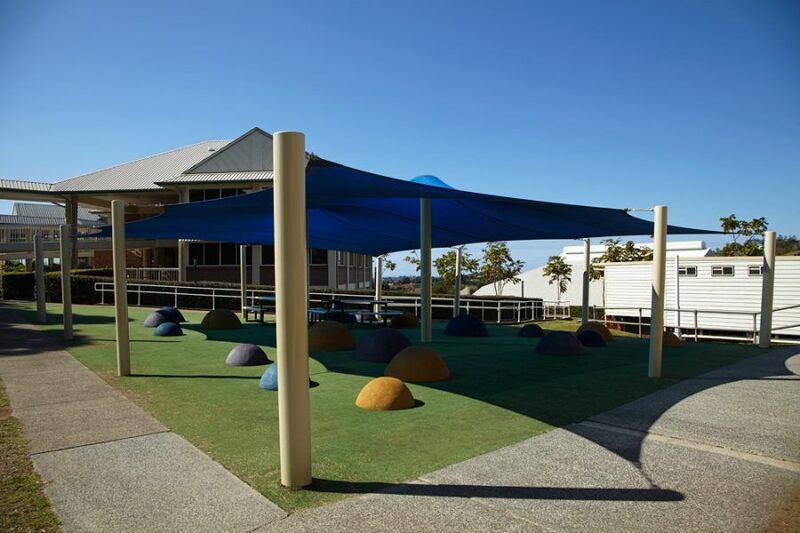 Of all types of shade structures used in public spaces in Australia, kindergarten shade sails are one of the most important. This is because Australian children face the highest risk of skin cancer and they must be protected from the sun’s UV rays. In addition to offering sun protection to children, kindergarten shade sails also help prolong the life of outdoor furniture and play equipment. Shade sails are a cost-effective and flexible alternative to permanent shade structures, making them perfect for kindergartens. And, for the best quality kindergarten shade sails in Australia, look no further than the shade experts at Global Shade! Get in touch with us with your requirements to get a free quote today!